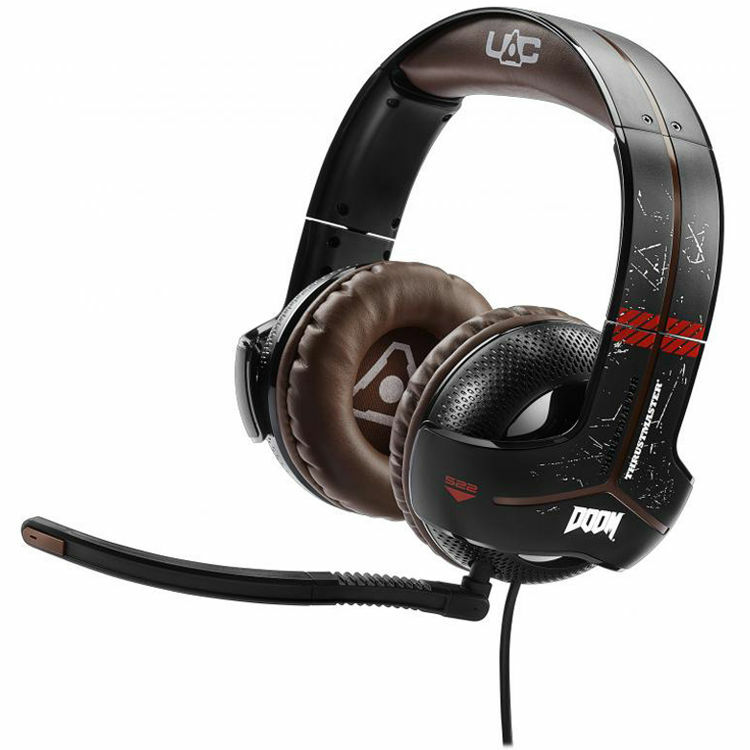 The Thrustmaster Y-300CPX DOOM Edition Gaming Headset sports a design inspired by the DOOM video game. It also provides a wide range of compatibility, which means it is not only compatible with Xbox One, PlayStation 4, Xbox 360, PlayStation 3, Windows, and Mac, but also with Nintendo Wii U, Nintendo 3DS, PlayStation Vita, as well as with tablets and smartphones. The headset will even support calling functions on smartphones. The Y-300CPX is able to do this because it has both a USB and a 3.5mm headphone jack. The Y-300CPX provides high quality audio performance, thanks to its 50mm drivers. The headset has a stable frequency response curve, which is optimized for games, ensuring a balance between bass, mids, and treble. The Y-300CPX also features double electro-acoustic bass amplification, for a deep and powerful low-frequency response. Its large, soft earpads provide passive isolation and comfort, as well as function as bass-amplifying sound chambers. Box Dimensions (LxWxH) 9.8 x 9.4 x 4.6"